***Although I received media credentials for this post, all opinions expressed are mine. 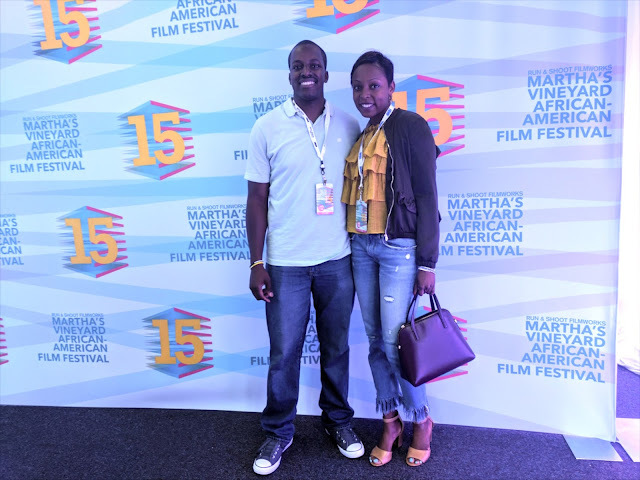 A few weeks ago, I had the pleasure of spending a day at the the15thAnnual African-American Film Festival in Martha’s Vineyard. Founded by Stephanie and Floyd Rance, the festival seeks to honor and celebrate African American films and filmmakers. This year the Rance’s received an award from the Massachusetts Governor’s Office for the impact that the festival has had on the island. We spent the first part of our Saturday watching a few shorts. In the evening we saw the documentary Strong Island followed by a panel discussion and scenes from Spike Lee’s She’s Gotta Have It. Enjoy my recap of the various films I saw below! 1) Kanju. This short film is a response to a 2000 article that dubbed Africa as the "hopeless continent." The film does not depict an Africa that lacks hope but instead shows a continent brimming with innovation and creativity. For example, we see the determination and dedication of Nollywood film creators, directors and actors; the innovative architecture of the Makoko floating school in Nigeria; and a glimpse into the musical and fashion explosion currently taking place across the continent. “Kanju,” a Yoruba word meaning “creativity born of struggle," depicts a continent of people creating in the midst of struggle. 2) Chebet. This short gives a snapshot into the life of a Kenyan woman as she grapples with her impending motherhood, a marriage troubled with alcoholism, gender oppression and the determination to survive. As we follow her throughout the day, we see her change and can only hope that her life will change for the better. 3) Monogamish. This film follows a romantic young poet as he explores love and heartbreak when his boyfriend suggests an open relationship. We see him grapple with the decision of whether to honor his ideals about love in the age of open relationships and "situationships."
. Psuedo powerfully shines a light on how our biases can affect our peception of others, which can then lead to the polarization of people and robs all of us of the ability to see our fellow men and women as individuals. We leave the film realizing that at the end of the day regardless of race or creed, we are human beings with a basic desire to make it home safely. 5) Strong Island.Strong Island tells a story of a family who moves from Brooklyn to Long Island in hopes of living out their American dream only to have that dream shattered by racism and injustice. Ford’s documentary powerfully shows how racism and justice are often at odds in our legal system. She shows the individual struggle of each family member as they grapple with the senseless murder of their loved one and the lack of justice that follows in the aftermath. One of the most powerful parts of the documentary was an intimate view of the tragedy's impact on the family, a view that we do not often get to see after a tragedy. Ford opens the film with the statement that she will show who her brother was, not who they say he was. This documentary is ripe for the current cultural climate and powerfully depicts how the personal is political. Strong Island is a must see. Directors Spike Lee and Tanya Lewis Lee photographed with members of the cast of She's Gotta Gave It and Jazz Instrumentalist, Brandford Marsalis. A modern day version of Spike Lee’s 1986 film, the viewing of She's Gotta Have It featured a panel with the Directors Spike Lee andTanya Lewis Lee and cast members from the series, which was moderated by famed Jazz Instrumentalist, Brandford Marsalis. Staring Dewanda Wise as Nola Darling, Director Tanya Lewis Lee describes the series as “visceral empowerment of a woman living life on her own terms. ” Tackling themes such as female empowerment, relationships, and self-discovery, the audience got an insider's look into Nola Darling's life as she balances her career, friendships and multiple boyfriends. Director Spike Lee described the strong female presence behind the series when he spoke about the majority female writes who helped to develop the series. Tanya Lewis Lee explained that creating a modern day series instead of a movie showcased greater character development. 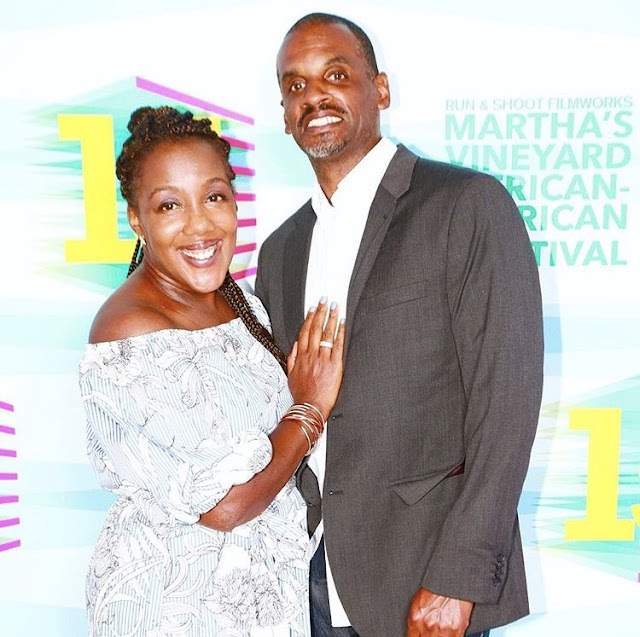 Both Spike Lee and Tanya Lewis Lee shared how important it is to have African-Americans at the decision-making table, which proved key in their collaboration with Netflix. I hope you enjoyed my coverage of the Martha's Vineyard African-American Film Festival. I highly recommend attending the festival next year and you can learn more information by visiting their website. If you get a chance to view the films, I would love to hear what you think or simply comment in the comment box below! This sounded like a wonderful/powerful event! Wow, I've never been to an event like this but it seems like so much fun! I love to participate in anything for my heritage. I wasn't that impressed by the She's Gotta Have it teasers I've seen. But the panel sounded interesting. Will have to check it out. Sound's like an interesting fest, and I love the fact that it's on Martha's Vineyard. Hi NIka, Can you please suggest me a few places where I can buy these and their prices. I would love to hear from you soon.